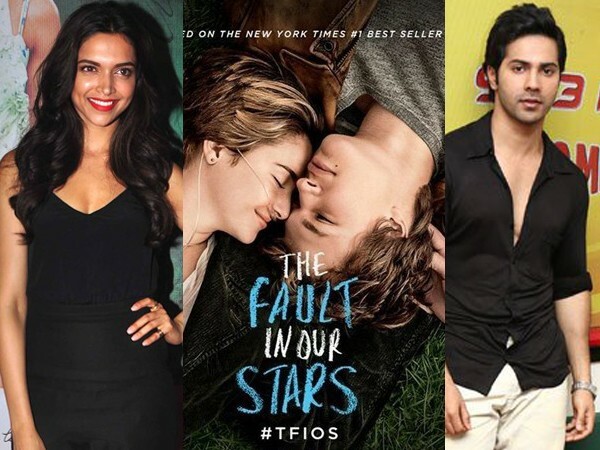 The hot youngsters of Bollywood, will be seen together in the remake of the Hollywood’s much hyped film The Fault in our Stars. If reports are true, after working with Deepika in Cocktail and the much recent Finding Fanny, Homi Adjania wants to work with Deepika again and since he wanted a fresh pairing, Varun Dhawan got on board. The duo will be playing terminally-ill teenagers, who fall in love and how they battle difficulties will be the plot of the movie. Produced by Fox Star Studios in association with Maddock Films, the movie will apparently go on floors in March, 2015. The stars are currently busy with their own schedule. While Varun Dhawan has been shooting back to back for Remo D’souza’s ABCD 2 with Shraddha Kapoor and Sriram Raghavan’s Badlapur co-starring Yami Gautam and Huma Qureshi, Deepika is busy promoting her upcoming Diwali release Happy New Year internationally with the star cast as SLAM tour. The actress just wrapped up the shoot of Imtiaz Ali’s Tamasha co-starring ex beau Ranbir Kapoor. She will soon start shooting for Sanjay Leela Bhansali’s Bajirao Mastani. Moreover, the diva is basking in the success of Finding Fanny which has done quite well at the box-office.